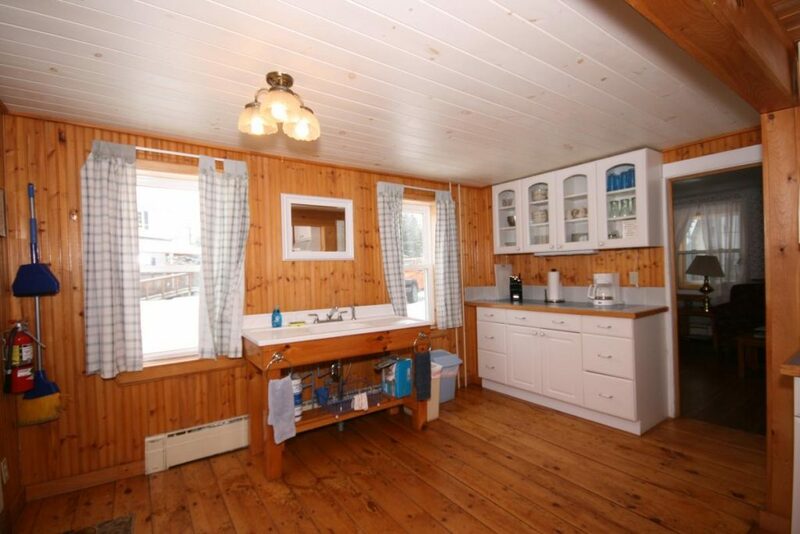 What was once the workshop for the Main House, the Cottage is a great spot for a family. The two-story home located at Spruce Lodge has a great farmhouse kitchen, living space, and enclosed porch on the main floor. 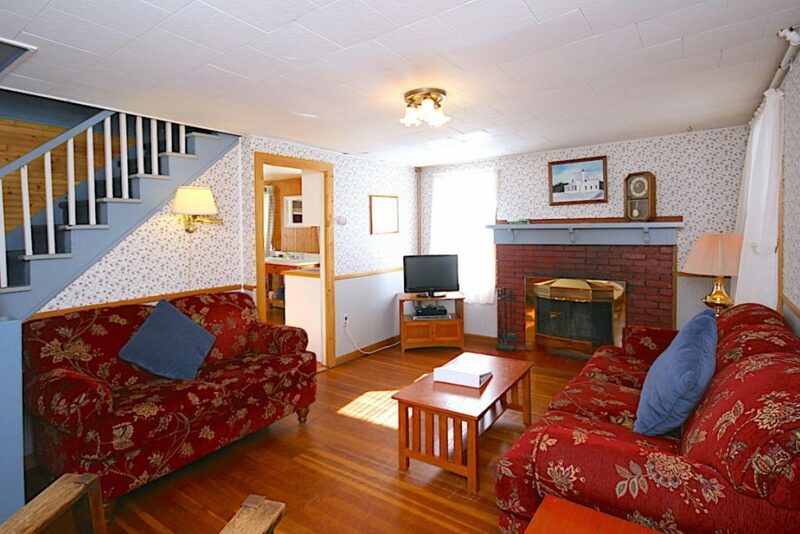 The second floor has two bedrooms and one bathroom. 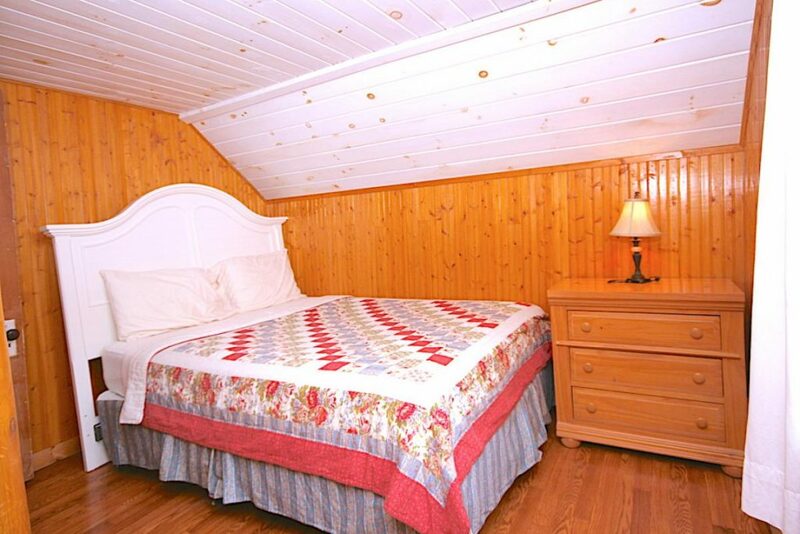 The second bedroom has a set of log-style twin bunk beds perfect for any sleepover. 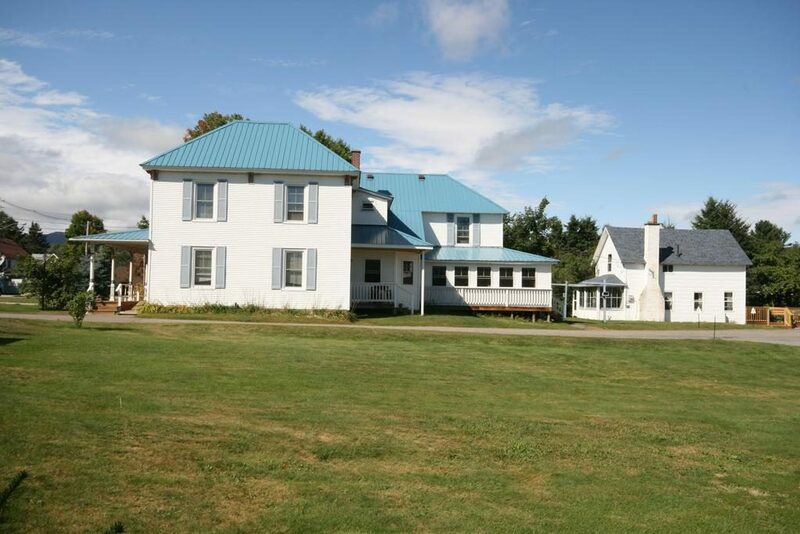 Toward the back of the Cottage, the large deck is a great place for evening gatherings during the warm summer months. 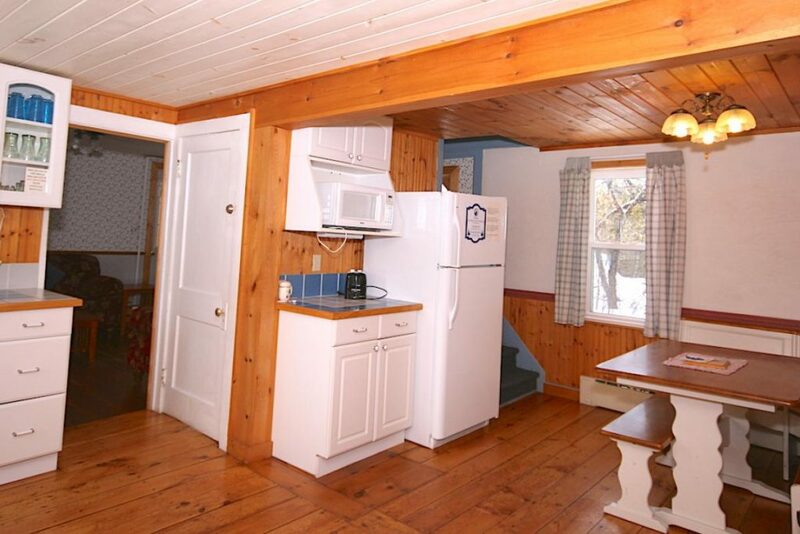 Kitchen at The Cottage – The Kitchen includes a farmhouse sink, breakfast nook with dining table and all the amentities needed to make a meal. Bedroom 1 at The Cottage – Main bedroom in the Cottage is located upstairs. 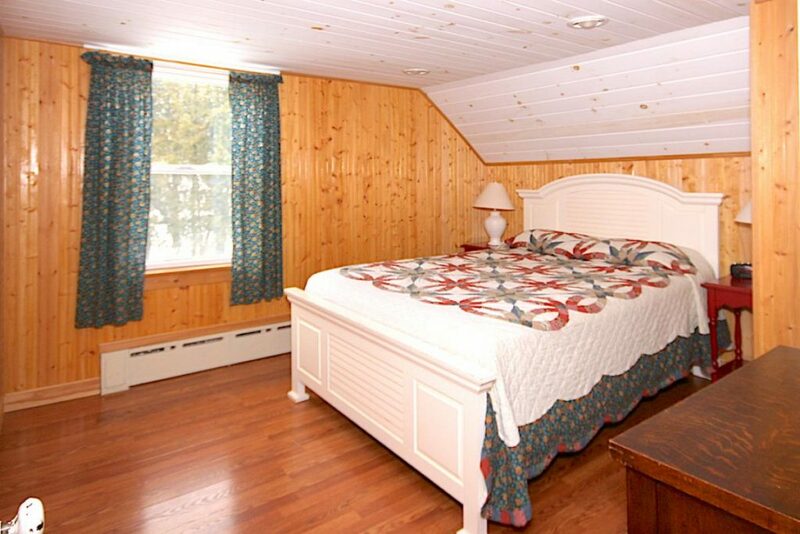 Bedroom 2 at The Cottage – The second bedroom in the Cottage is located upstairs and includes a double bed and twin bunk beds. 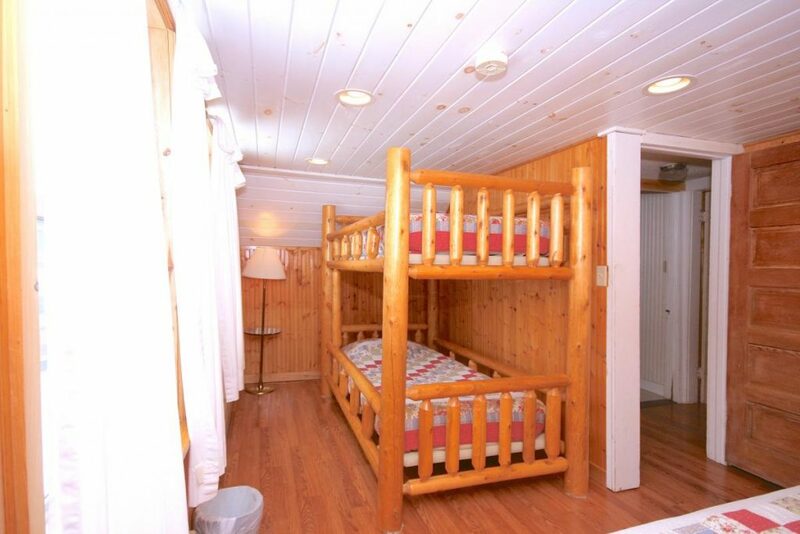 Bunks in The Cottage – Bunk beds are located upstairs in the second bedroom along with a double bed.